We’re rolling out one of our last sales to celebrate our 10th anniversary! It’s definitely a good one. We never offer discounts like this on our suits and blazers. But, we really want to show you how much we appreciate you, our clients, for all your support over the last decade. 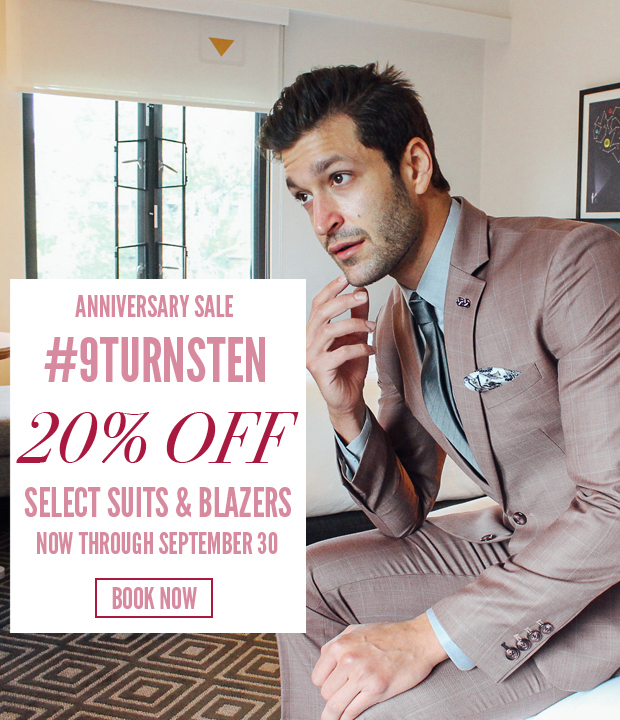 Now through the end of September, you can get a 20% discount on select suits (B Collection, or our super 120s or higher). Whether you need a good suit for work or for that fall wedding, we’ve got you covered. Book an appointment with our style advisors here. Applies to suits and blazers B level or higher. A la carte design options are still full price. Shipping, taxes and handling charges apply to all promoted items.